DR and VM backup top storage projects, but what about mobile backup? 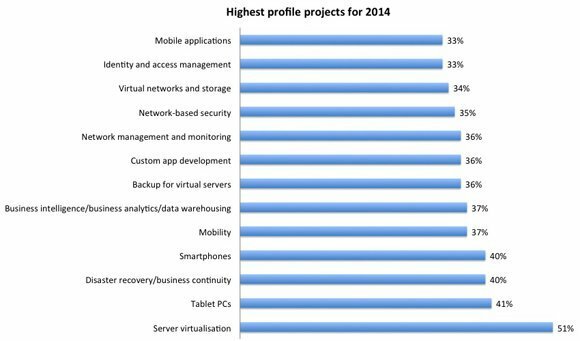 Disaster recovery and virtual server backup are the most high profile storage-related projects for IT decision makers in 2014. That’s according to the latest Computer Weekly/TechTarget IT priorities survey, which questioned 299 UK IT department decision-makers late in 2013. Disaster recovery and business continuity are a key project for 40% of those who answered the survey, while 36% plan virtual server backup in the coming 12 months. Much of that activity would appear to be driven by the number one priority – server virtualisation – which elsewhere in the survey is confirmed as the key method being used to consolidate datacentres. In other words, as organisations move from physical to virtual computing environments they must revamp backup and disaster recovery to ensure they are protected and compliant. Meanwhile, given the prominence of mobile device projects in these results the question is begged; why don’t data protection projects for these hardware formats figure more highly? One to watch for the future, perhaps.